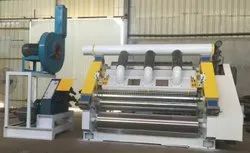 We are a leading Manufacturer of high speed corrugation machine, corrugated board making machine, vertical single face corrugation machine, paper corrugating machine, fingerless single facer corrugation machine and paper corrugated machine from Faridabad, India. 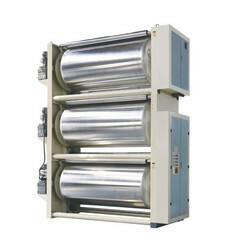 We are the manufacturers, exporters and the suppliers of High Speed Corrugation Machine. 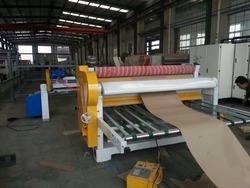 We are engaged in offering Corrugated Board Making Machine to the clients. 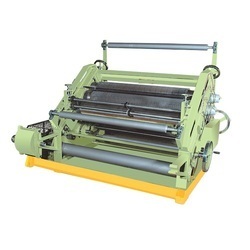 We have different corrugating machines to be used for the corrugation of different types of materials. 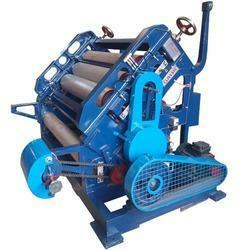 This machine is widely used for converting paper into 2 ply corrugated roll. 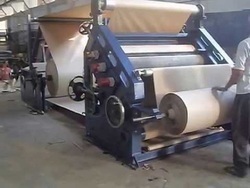 This paper corrugated machine consists of single face and is used for production of single face corrugated paper. 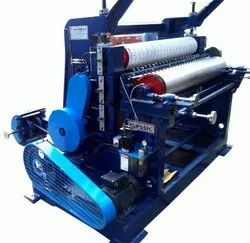 We are counted among the reputed Manufacturers, Suppliers and Exporters of Fingerless Single Facer Corrugation Machine. It comes with the operational speed of 80 m/min and can handle effective width of 1400 mm to 2200 mm. 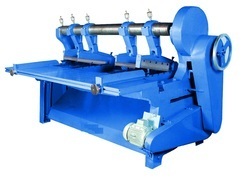 Bulk orders of the machine are processed by us as per the specific requirements of the buyers. One can obtain it at nominal rates. Classic Automatic Paper Roll To Sheet Cutting Machine with NC Cutter with PLC Control Ac control Panel with all Standard Accessories. Available Size- 1400, 1600, 1800, 2000 MM. 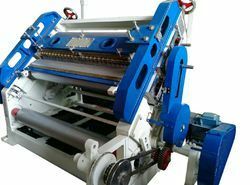 Classic, Heavy Duty Vertical Type Bearing Mounted Standard Model Corrugation Machine with accessories. All size available. 36", 42", 46", 52", 55", 62". We are counted amongst the foremost manufacturers, trader, exporters and suppliers of Liner Preheater Machine. Our ranges of heaters are contrived using top quality materials and as per the industry standards. The products we offer are easy to operate and provide remarkable performance to the user. These are widely used in various industries for different purposes. We supply these heaters to our clients at reasonable prices in the market. we manufacture and export superior-grade Duplex Preheater. We make use of optimum grade raw material and components to fabricate the offered range of duplex preheaters. These duplex preheaters are widely known among the clients for their trouble-free functioning, user-friendliness and longer functional life.